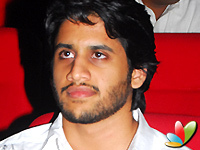 Directed by Ajay Bhuyan and produced by Chandan Reddy on the banner of Kamakshi Kala Movies, an yet to be named film with Naga Chaitanya and Kajal in the lead is currently busy in shooting. The film unit had recently returned from an abroad schedule at Philippines and Bangkok. A song was also choreographed recently. As per the latest available information, the director is planning a stylish fight for the climax scene involving a team of international action choreographers. Gnanasekhar is cranking the camera, while Dharmendra K is taking care of editing.